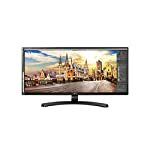 We don’t see many gaming monitors below the 24″ size these days but we aren’t afraid to list them on Gaming Monitors UK when they do come up. Personally I consider 24″ a minimum I would want to work on play on but of course everyone has their own tastes and needs. 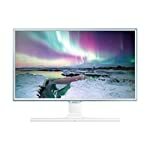 If you are looking for a small gaming monitor then the G2260VWQ6 is one to look at. It won’t take up much space on your desk and it also won’t take out a big chunk of your wallet. On the down side you don’t get a lot of space for your applications to run and games aren’t quite as fun on a small screen, at least that’s my experience – it’s no fun trying to shoot at a small figure you can barely make out – or perhaps it’s time I got a pair of glasses! Let’s recap the specs, this is a 21.5″ monitor, although seems to be listed as 22″ in stores. It has a TN based panel and what’s more it comes with the open adaptive sync tech, FreeSync. This helps keep the cost down but you’ll need a compatible graphics card, most likely a modern AMD GPU. This tight little unit has a simple enough design, which personally I appreciate – I’m not one for the “gamer” friendly splash of colour and design features that look like they are meant to appeal to teenage boys. But each to their own! The bezel is thin and this goes in the monitors favour, if you specifically need a small monitor you don’t want a lot of wasted space wrapped around the monitor. This is also good for a dual monitor setup, you don’t want a big block between the two screens. Note that the monitor does not include speakers, this is no problem for headphone gamers but it’s worth noting if you like a little sound output from time to time. 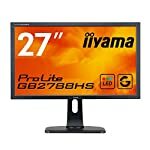 It’s worth noting that this monitor can run at 75hz, it’s generally accepted that even small gains in refresh frequency can have a big impact and as someone who used to own a 75hz monitor I am a believer in this. So whilst this doesn’t get up to the much sort after 144 refresh rate, trust me – it’s worth having compared to 60hz! With a responsive TN panel and the included FreeSync system this turns out to be a game friendly monitor. In fact the biggest downside is the small size! According to owners the default colour settings aren’t perfect so you’ll need to look at doing some calibration to get the best out of the screen. This is a TN panel so you should expect the limitations that come with the technology, for example the poor viewing angles. But remember this monitor is at the budget end of the range so you’ll need to set your expectations accordingly, this isn’t the monitor for a professional photo editor. We give the AOC G2260VWQ6 a 4.5 out of 5 rating. Want to know what existing owners of the monitor think? You can read real user reviews here. 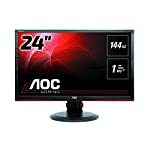 Should I buy the AOC G2260VWQ6? 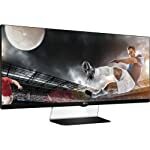 A solid budget game ready small monitor that won't break the bank and will play fast action games without tearing thanks to the included FreeSync technology. This is a budget monitor though, so if you set your expectations accordingly you won't be disappointed. If you are having some doubts about this purchase then why not read some real owner reviews and see what other buyers think.